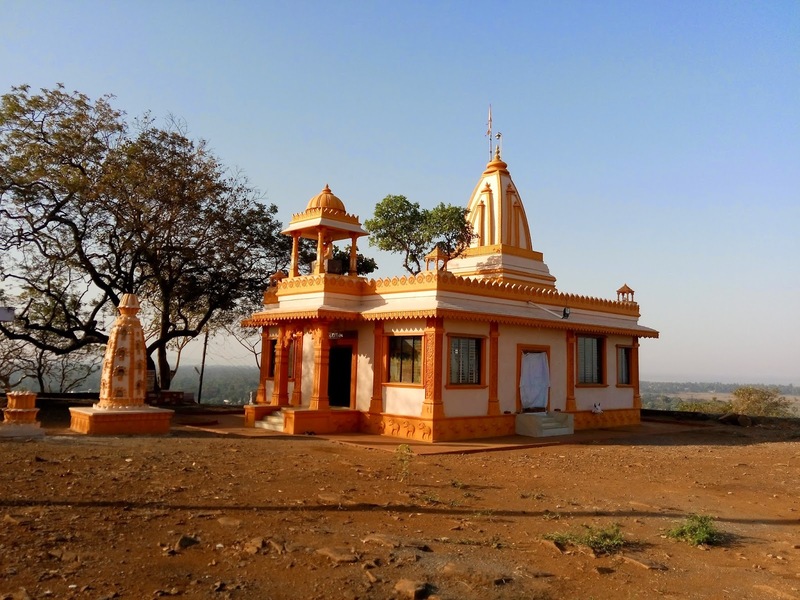 Datta Mandir aka Vajragad is located at Giriz on the way to Bhuigaon in Vasai. 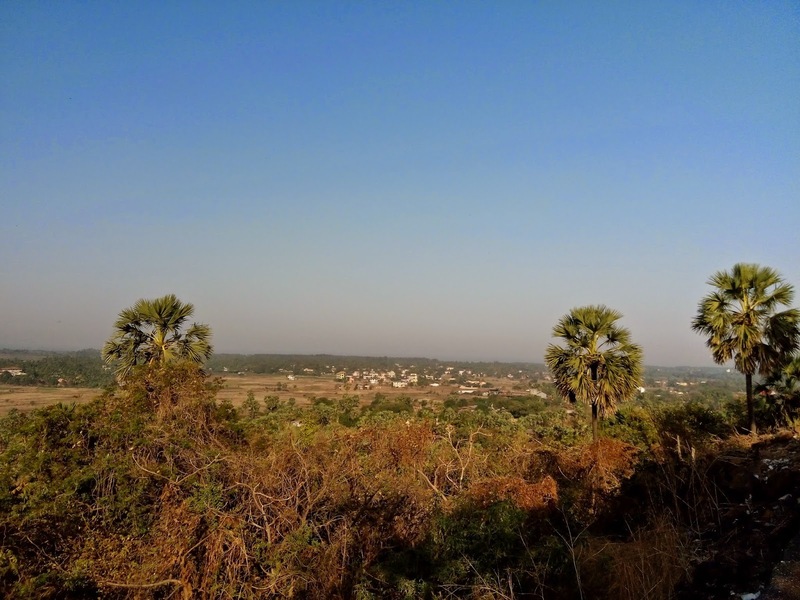 Giriz is located around 14 KM away from Vasai railway station. Shankaracharya Mandir is located a couple of KM away on the same road leading to Arnala from Vasai. I was planning on exploring this fort, sadly I was no geting any co. to travel. Just a day in advance I asked Aashish if he would like to join me on my exploration to which he readily agreed. I wanted to club another fort so that I spend the entire day in the hills. Most of forts on my to do list were far away and hence it was just Vajragad. As decided we met at Andheri Railway station at 7 AM to board a fast train to Vasai at 7:03 AM only to alight at Vasai at 7:42 AM. Collected some samosa's (breakfast) to eat there. We has sufficient supply of water with us. Now we had to decide a medium of transport to Girij. We could travel either by ST public transport or by a auto rickshaw. We decided to board a ST bus. Outside the Vasai railway station on the western side is located the ST bus stand. What luck I should say, the bus to Girij was to depart at 8 AM. We were right in time for the bus. This bus terminates at Bhuigaon. We sat in the bus, informed the bus conductor. He gave us tickets to Giriz. The tickets cost is Rs. 22 for two. The bus conductor alighted us at Giriz and gave us directions to Datta mandir. 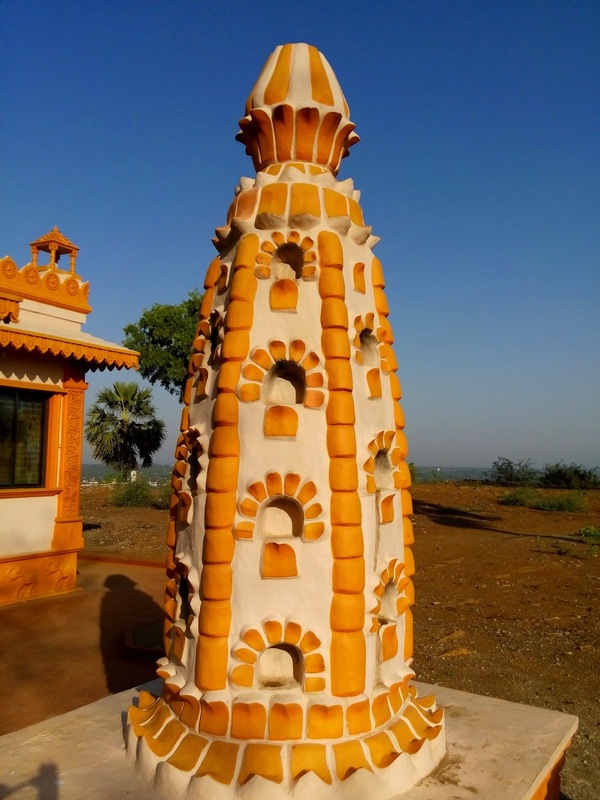 Datta mandir is located on the other side of the road atop a hill lock. A muddy path leads to the top of the cliff. It takes around 15 to 20 minutes to reach the top. There are marked stones placed on either side of the road, so you just can't get lost. Atop the hilllock is located the Datta mandir. Though the temple is redone and painted the diya stand outside it is old and repainted. 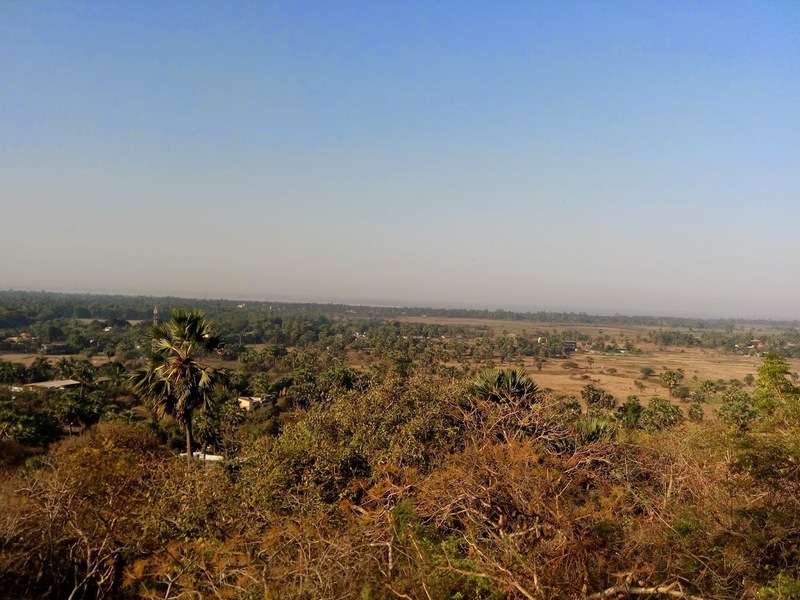 The hillock offers a a beautiful view of Vasai. The sea in a distance, the palm trees all around, the farms, the houses in a distance and the sea at large on one side and the hills on the other. Life comes to a standstill here. The only noise one can hear is the chirping of the birds and the leaves of the trees swaying in the wind. This was soothing to our ears. Spent a couple of minutes here. Sadly there was no fort here, not sure why this place was called Vajragad. No fortification either. 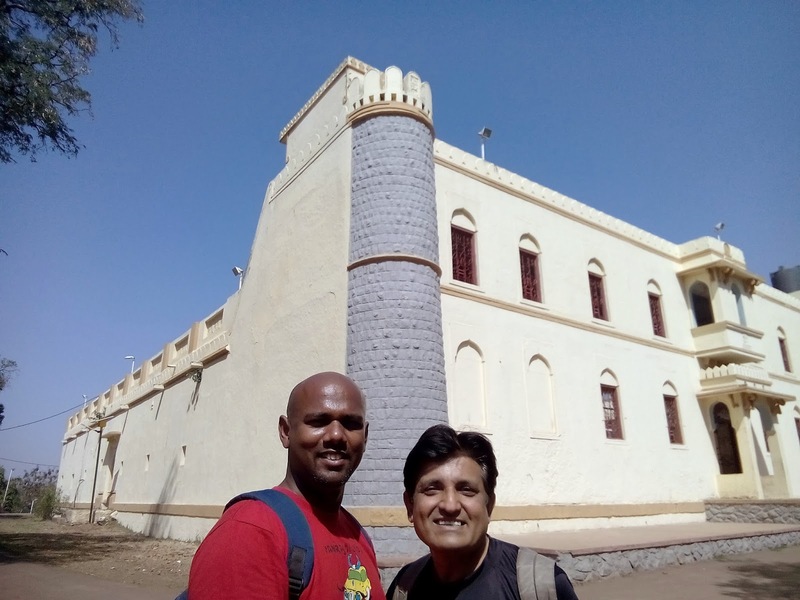 Aashish met a fellow traveller and bird watcher by the name of Amogh, here who informed us about the Shankaracharya Mandir located near the Nirmal Talav (lake). Taking his advise we decided to see the other temple and the Talav. We asked people for directions and started walking towards Arnala. We kept walking and waking and finally in 45 minutes we reached the Shankaracharya Mandir. The Mandir is also located on a hill. But it is visible from the road below unlike the Datta mandir. The Mandir is painted in birght yellow and it shone even more in the bright sunlight. The diya stands at the entrance of the mandir (Temple) were amazing. Though repainted they were rustic. Now I have seen diya stands at Rameshwar Temple in Achara, Kashi Vishweshwar Temple in Wai, but this one was huge. It was near the entrance of the temple. There is also a huge Tulsi Plant near to it. Shoes need to be removed while visiting the temple. The temple is huge from the inside and has statues of various Gods in them. The temple is repainted in loud colors, which ideally should not have been done, as it takes the ethnicity out of it. 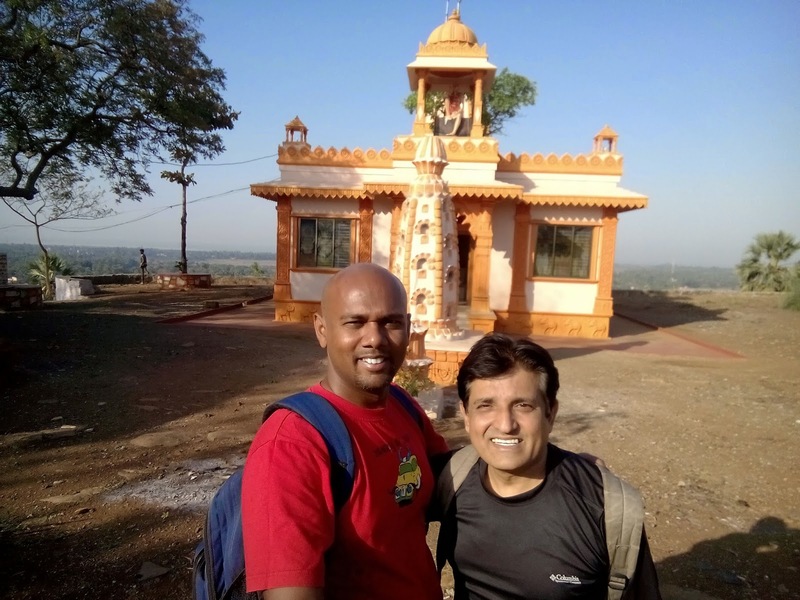 Aashish met one of the trustees who was praying in there, who was discussing the cost involved to renovate and paint the temple. Luckily we managed to get a few good clicks here. After Aashish offered prayers here, we decided to check the Nirmal Talav located in front of the Temple Gate. 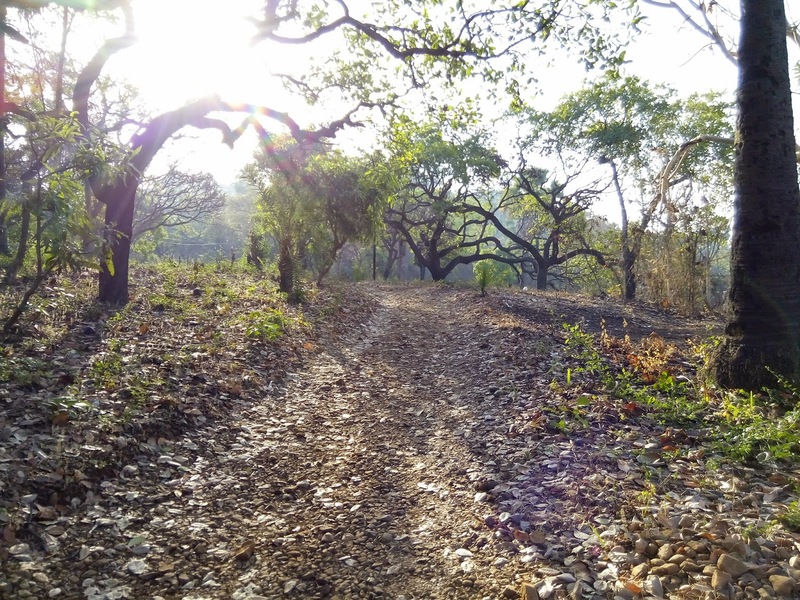 We walked down from the dense vegetation to locate Nirmal Talav below. This Talav (lake) was huge and offered a wonderful view. We did see women washing clothes here. Meaning the water is not used for consumption. The water was green in color, mainly due to color of the vegetation growth below it. After exploring Datta Mandir, Shankaracharya Mandir and Nirmal Talav, we headed off to Vasai. Now remember, if you travelling back by ST bus, then the buses that halt here, start from Arnala and terminate at Vasai Village and not Vasai ST bus stand. So to get a bus back to Vasai ST stand, one has to come to the junction. One road leds to Vasai railway station, one to Bhuigaon and the third to Arnala Beach. Only the buses that ply to Bhuigaon go back to Vasai ST bus stand. Palasdeo aka Palasnath temple loated in the middle of River Bhima.